Alison Miller has announced her retirement from international rugby. The Laois native was an integral part of the 2013 Grand Slam winning team and was part of the side that reached the 2014 Women’s Rugby World Cup semi-finals. Her try in the victory over the All Blacks is one of the standout moments in the history of women's rugby in this country. The 34-year-old showed enormous resilience to bounce back from a double leg break suffered in a Six Nations games against Italy last year to feature in this year's tournament. Announcing her retirement on Twitter, she said: "It has been an honour and a privilege to play for my country for the last ten years, however all good things must come to an end." 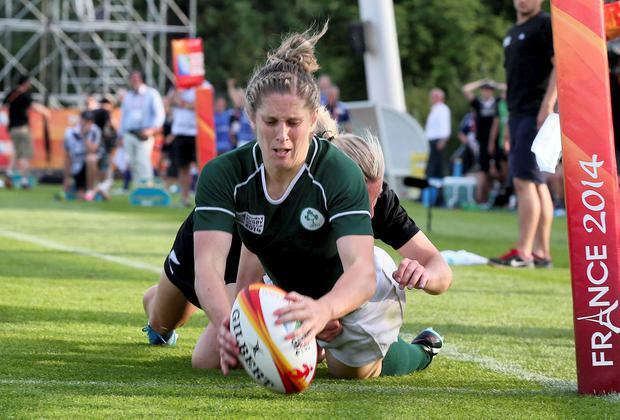 She made her Ireland debut in 2010 and won international caps in the sevens and 15s games. Alison Miller hangs up her boots after an outstanding international career. Congrats Ali. You've had such an amazing career!! You're a class act, now plenty of time to learn how to make a proper cuppa tae..